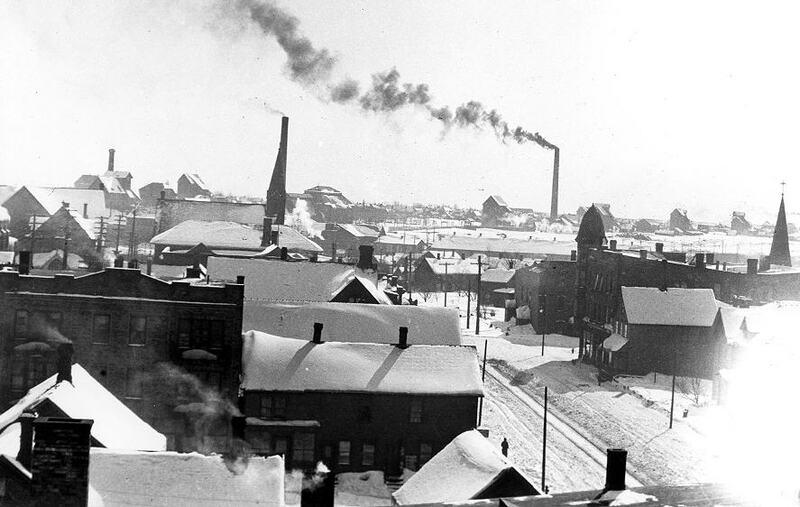 The original negatives for these photos now reside with the Copper Country Archive collection at Michigan Tech University. Paul's grandfather Fredric J. Haun made these 1916. Click arrows to go through series. Use the UP arrow to go back to main page. 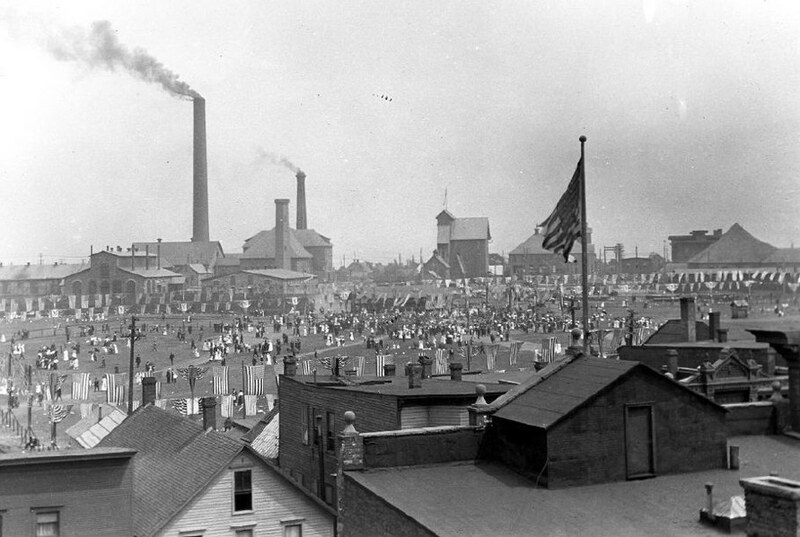 A fantastic view, taken from atop the Vertin building in 1916, showing the celebration of the 50th anniversary of C&H. 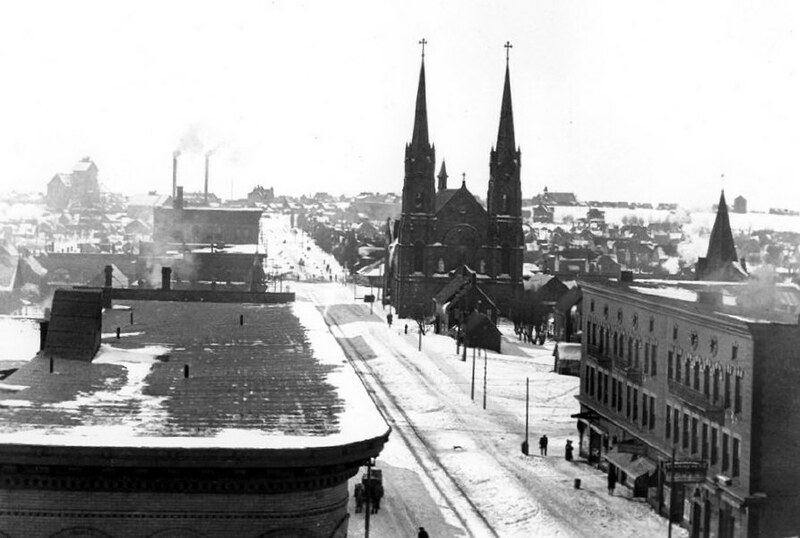 Starting in the background, the first building on the left is the drill repair shop (still standing today). You can see the large Superior stack, now gone, and the Superior engine house, torn down sometime in the late 1970s. You can also see the #2 shaft dry, or miner's locker room. This too is still standing today. The #2 shaft is seen right where the new elementary school is today. Behind the flag is the original wooden Washington School, destroyed by fire in 1929. 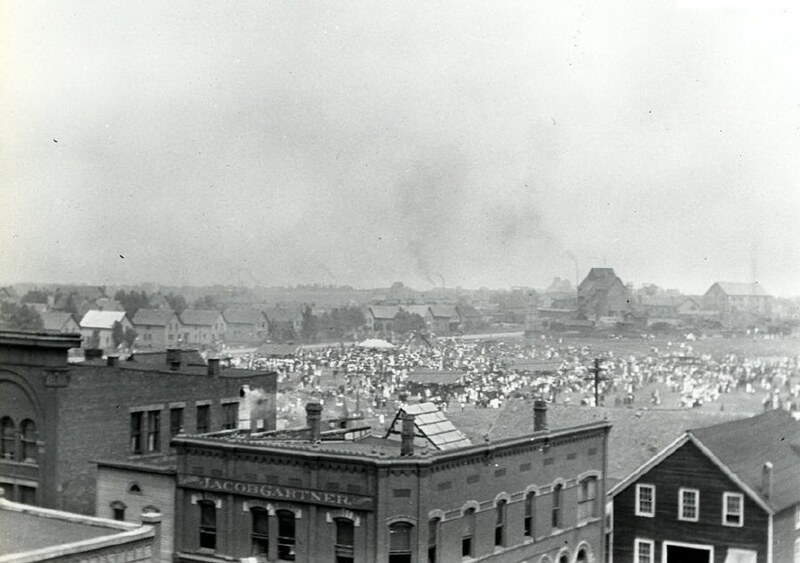 Looking northeast, you can see Elm Street and the miner's homes. The center of the photo is where the high school athletic field stands today. In the distance, right hand side, is the Calumet #5 and #6 shaft near the corner of Mine Street and Pine. The large hoist house for this shaft is seen on the far right. Again from the top of the Vertin building, this time looking west to Tamarack location. You can clearly see the street car tracks on Oak Street heading towards the Mineral Range depot. The Tamarack #2 shaft is seen in the upper left. Looking south, you can see the street car tracks on 6th Street. The center of this photo is where the Pamida shopping center stands today. In the background is a great view of the various shafts along Mine Street. In the lower right of this photo, now blurred, is where Jim's Pizza is today.